My grandmother on my mom’s side was quite the baker, akin to a Mrs. Claus-type demeanor, with a very sweet disposition as well as a sweet tooth that she genetically passed down to the rest of her family. Every time we went to her house, there was a fresh batch of baked goods on the counter for us to sample and her most trusted recipes became true family favorites. 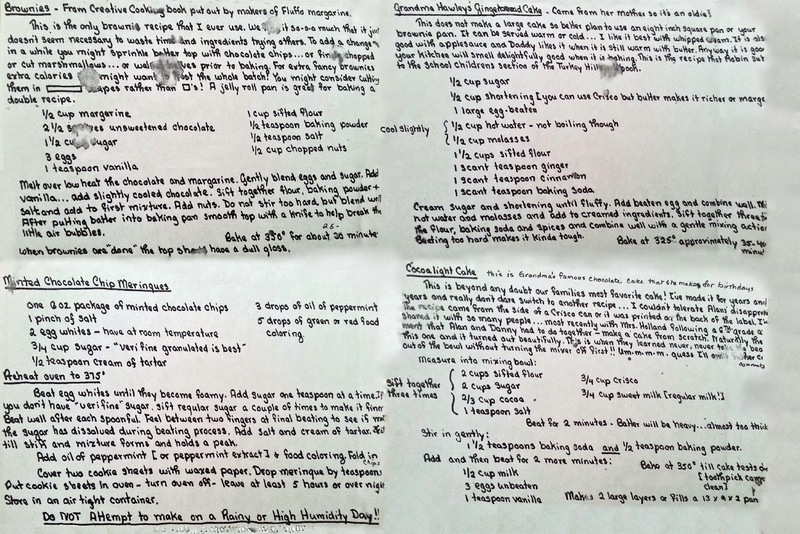 When my grandmother passed away a few years back, my mom had photocopied all my grandmother’s old original recipes from her recipe book to share with family because she knew we’d love recreating the treats and reliving the memories. 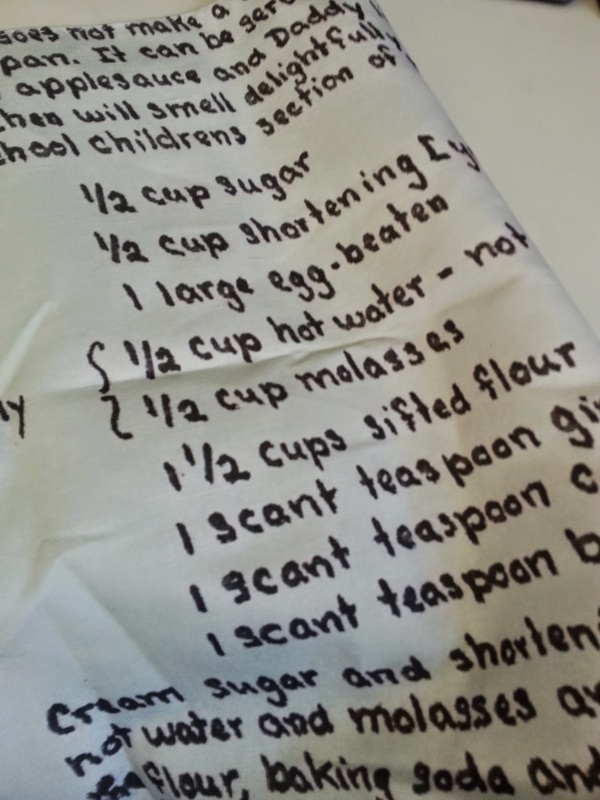 These recipes were handwritten by my grandmother in a felt-tip pen, and so there are some splotches where liquid got dripped on the page, but to me, it just means that the recipes were well-used and that the pages are authentic. 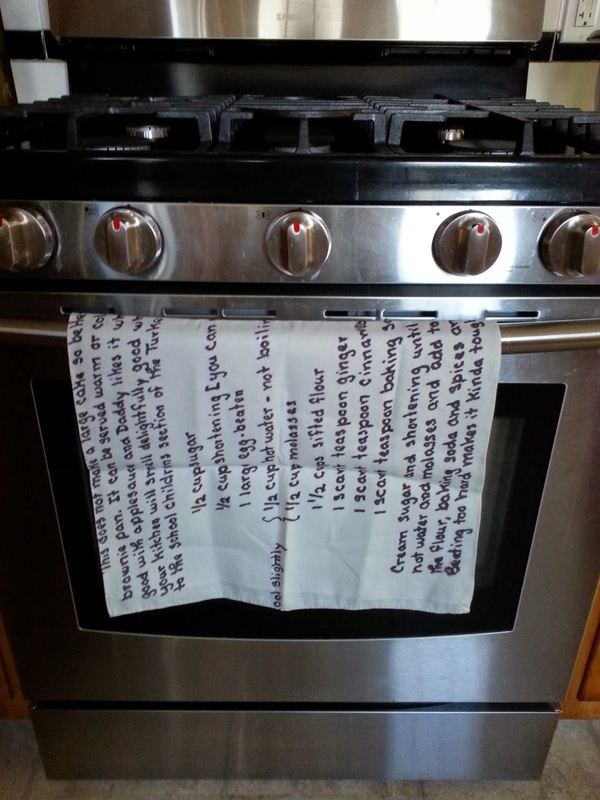 I really loved Emma Jeffery’s well-pinned Pinterest post about how to turn handwritten recipes into tea towels, so I modeled my version from hers, using Microsoft paint and Spoonflower to print the fabric. Here is a look at what the file uploaded to Spoonflower looked like, adjusted to fit a 54” wide yard of fabric and fit four recipes (and therefore, make four tea towels) from one yard of fabric. As Emma explained in her post, there was some tinkering to be done with the recipes in order to adjust the brightness/contrast and to downplay some of the splotches that were outside of the words. I used a combination of Microsoft Paint and iPhoto to paste these four recipes together into a grid and used the smudger/blemish remover edit tool in iPhoto to smooth out the imperfections. I noticed today in Spoonflower that there is a direct link to editing in picMonkey, whereas before, I think picMonkey was an application that you had to do separately and then upload to Spoonflower, so this new change is hugely helpful in terms of editing functions. I uploaded the finished file as a .PNG to Spoonflower and ordered one yard of the Linen-Cotton Canvas fabric. I think because the fabric was mostly a simplified design and in black and white, I found that the fabric printed much more quickly than any other order I had ever placed with Spoonflower and it was at my door in about a week or so, start to finish. 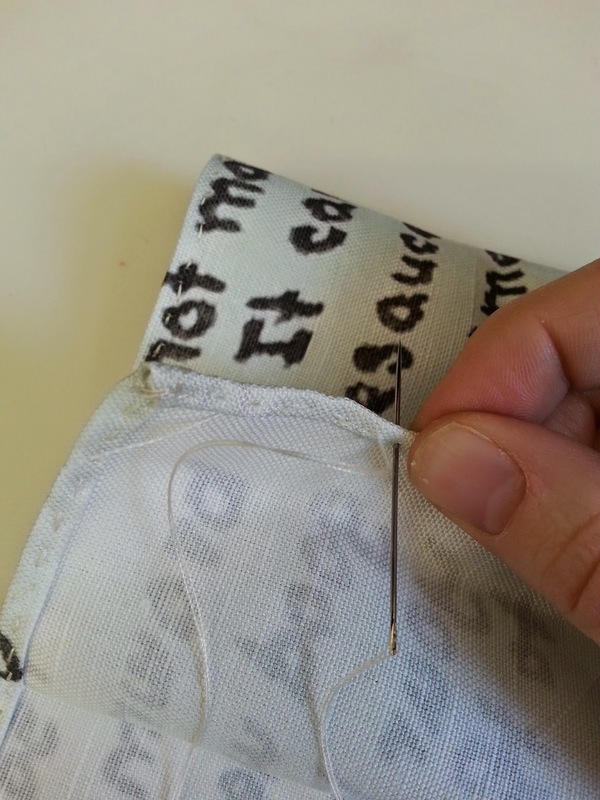 When I received the fabric, I ironed it and cut it into quarters, with one recipe on each of the quarters. Since the recipes were written by hand, I figured I’d do my own by hand contribution to the finished product and hand-sew the edges. 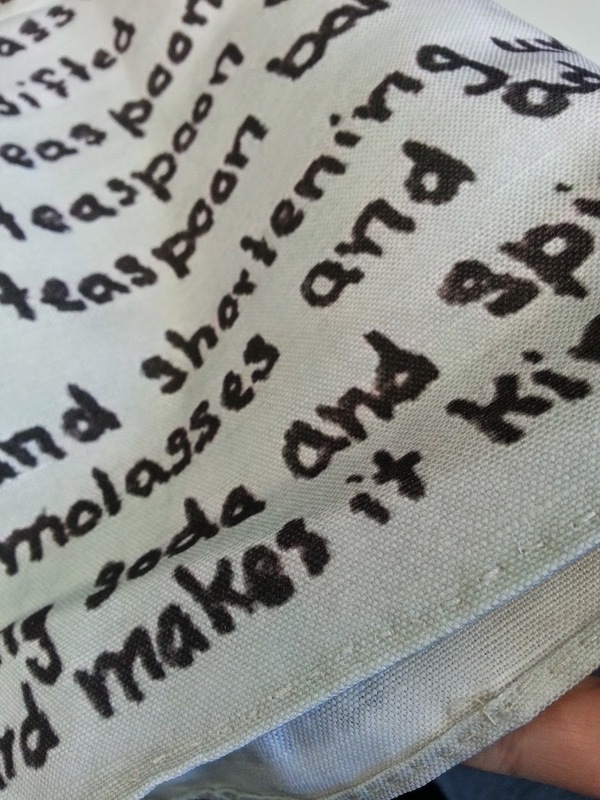 I turned in each of the edges by hand-rolling it over twice to cover the raw edge, and did a simple stitch, with reinforcement at each of the four corners of the tea towel to keep everything in place. 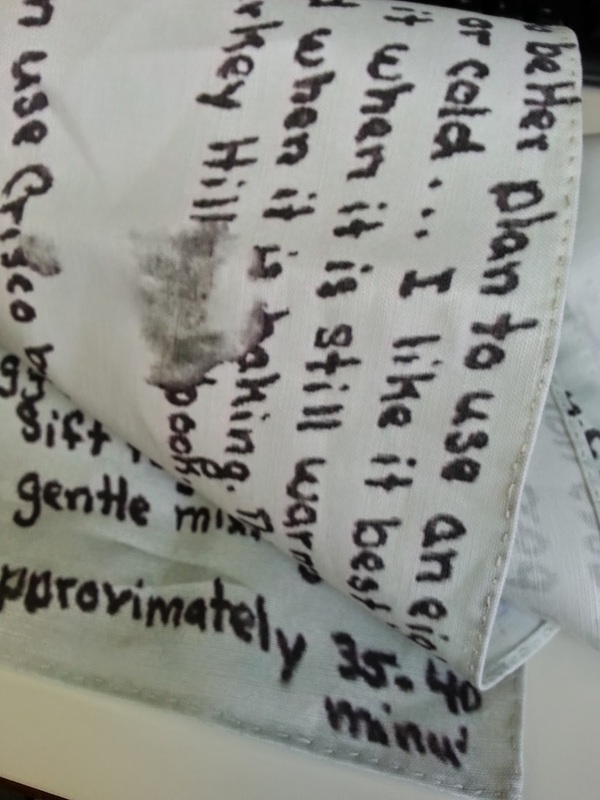 You can see photos of the hand-sewing, as well as what the finished fabric looked like after printing, in the photos below. Honestly, the tea towels are a nice tribute and I gave one of the finished tea towels to my mom, my Aunt (my grandmother’s other daughter), my Uncle (my grandmother’s son), and my brother. It’s such a thoughtful gift that doesn’t take too much time and is both useful and meaningful. Of course, I had planned to gift these as Christmas presents and instead, they were delivered to the recipients in June, but no one complained. 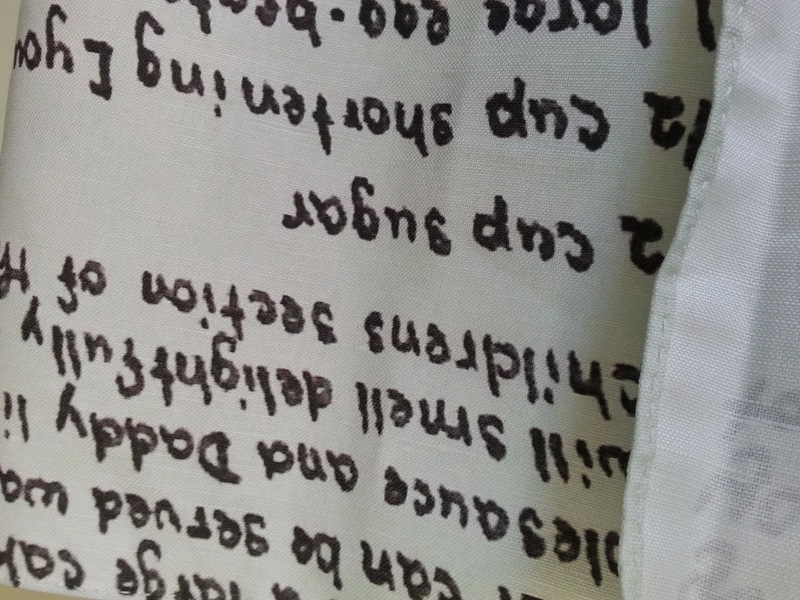 As Emma had written in her post, the best part about Spoonflower is that it will hold onto your design so that if something happens to the tea towels currently in use, I can just order more fabric in the future and make more, or I can print and make on demand for other family members on my mom’s side.